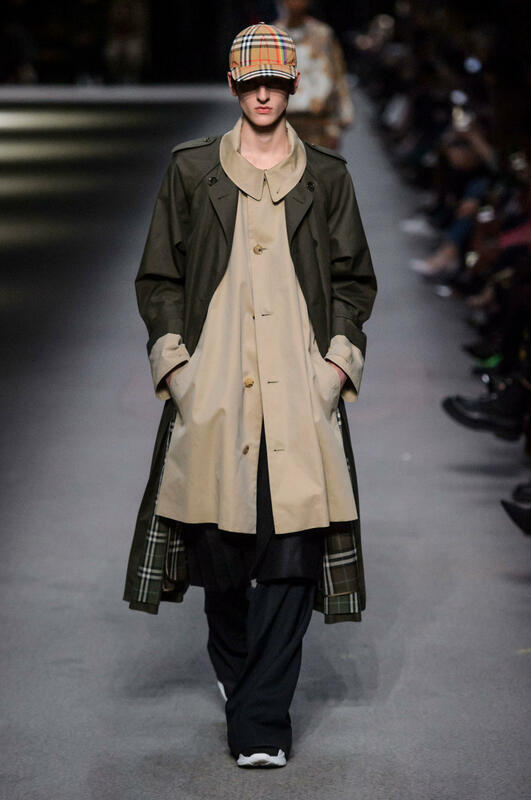 17 years ago, the British heritage label Burberry stepped into a new era with the young Christopher Bailey taking over the brand. An era, which turned the highly traditional and conservative brand into a modern label that would later be known for its representation of young and new Britishness, it’s Social Media savviness and unforgettable campaigns. 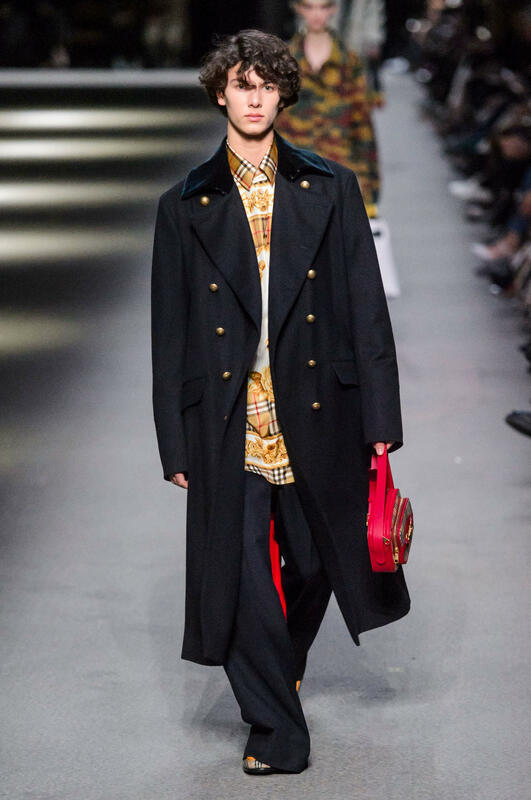 Now, looking back Bailey has transformed Burberry into an international powerhouse, not only through his successful collaboration like the capsule collection with Gosha Rubchinskiy. 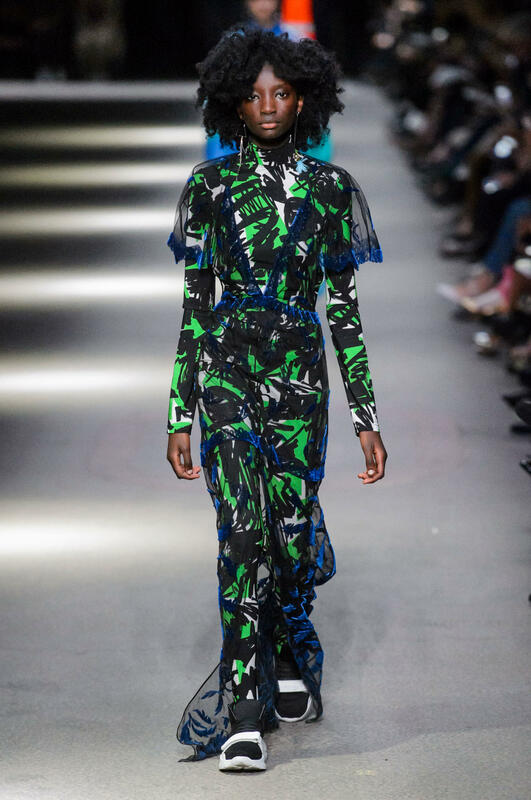 With his latest collection at London Fashion Week 2018, he has made his final statement and paved the path for his (yet to be pronounced) successor. 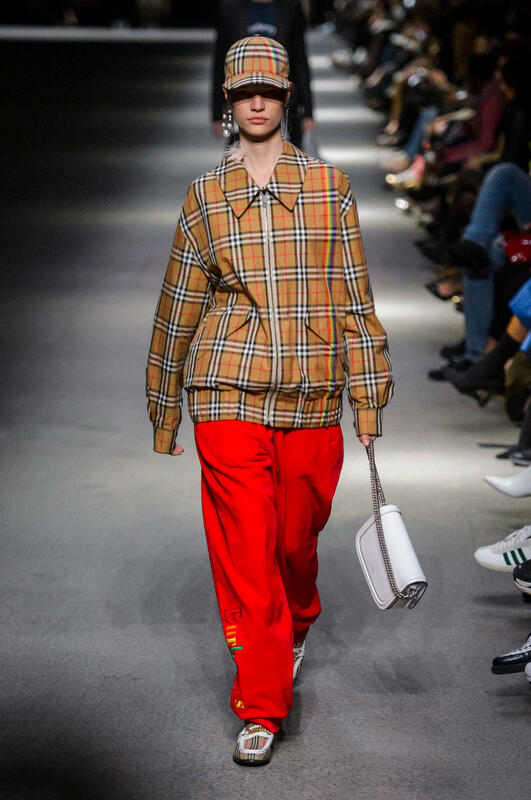 With Burberry being a financial supporter of several LGBTQ+ organisation, the February 2018 show was a celebration of openness and acceptation. 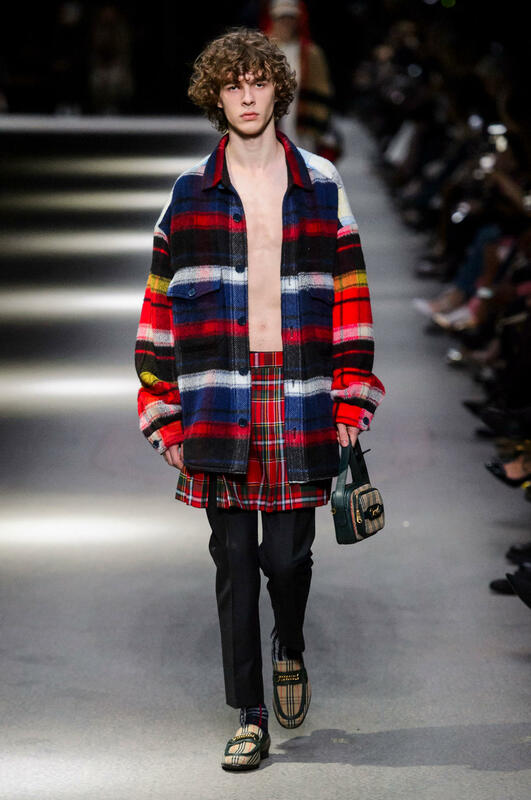 Rainbow colours were spotted everywhere; the classic Burberry check was upgraded into a rainbow check, Cara Delevigne closed the show in a fabulous faux-fur rainbow cape and the styling was a perfect mixture of highstreet fashion and British poshness. 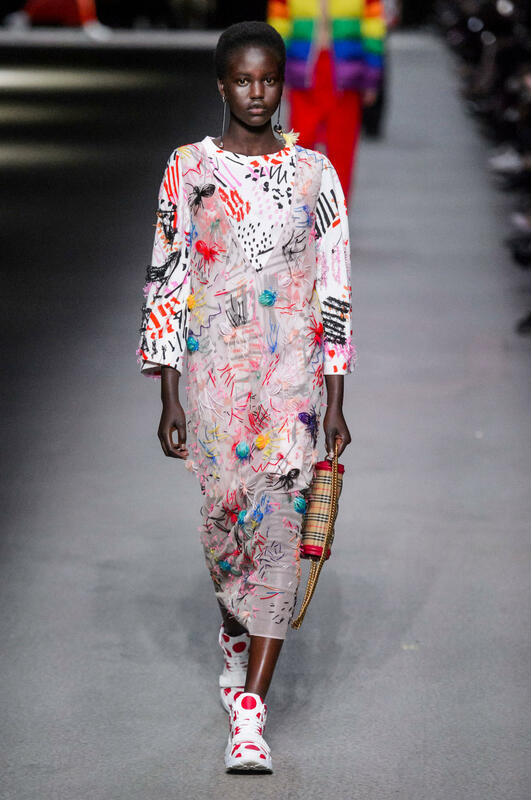 Adwoa Aboah, stepping out in an over sized graffiti pullover over a floor length skirt printed with a rainbow gave the perfect introduction to the flow of windbreakers, tulle dresses trenchcoats, often topped of somewhere with the rainbow sign. 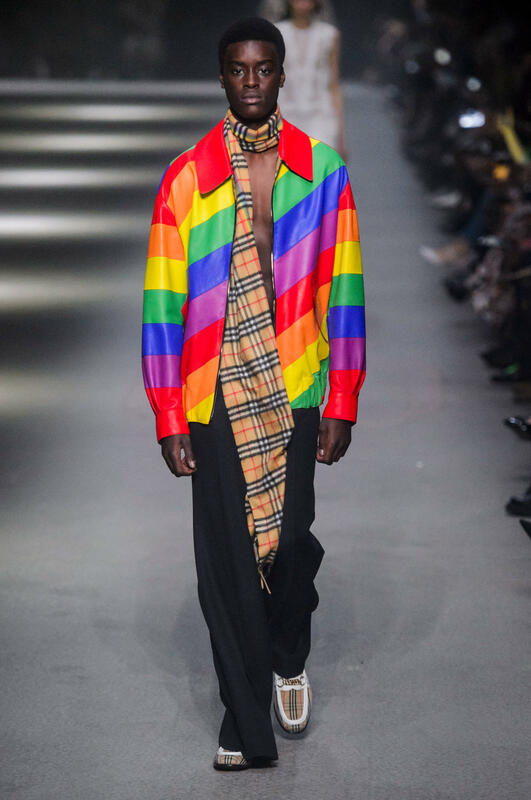 From handbags, scarfs, caps, snakers and wests; Burberry showed it’s support for the LGBTQ+ and it’s stand for an open minded and inclusive world. 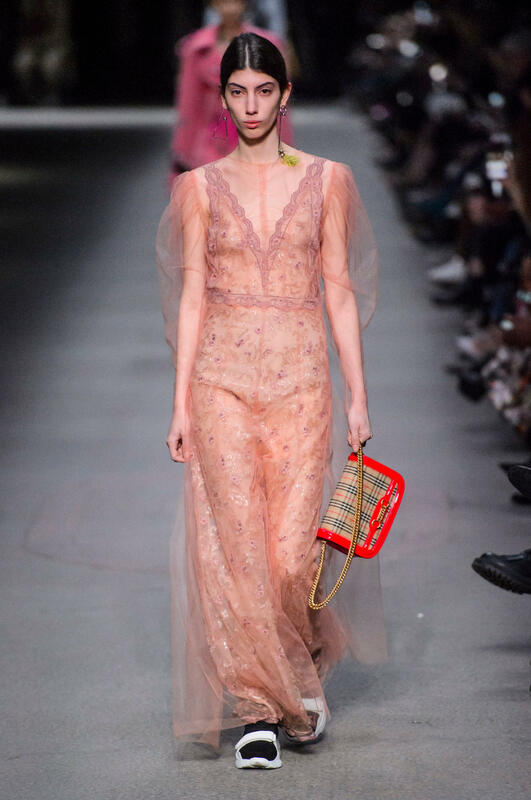 For more coverage of our favourite Runway collections click here.